The Staff of Panther Catering located in the Martin Luther King Jr. University Union, would like to thank you for choosing us for your catering services. Our goal is to take the worry out of your event planning. We offer an outstanding and extensive array of food, beverages and services to meet the varied needs of the Eastern Illinois University Community and our valued customers outside the University. Our most popular menus are shown in this guide. However, for that extra special occasion we can develop a menu tailored specifically for you. We would like to excite and delight every customer with a memorable dining and service experience. We hope you will find this guide useful when planning your next event. Please feel free to call us for assistance at any time. 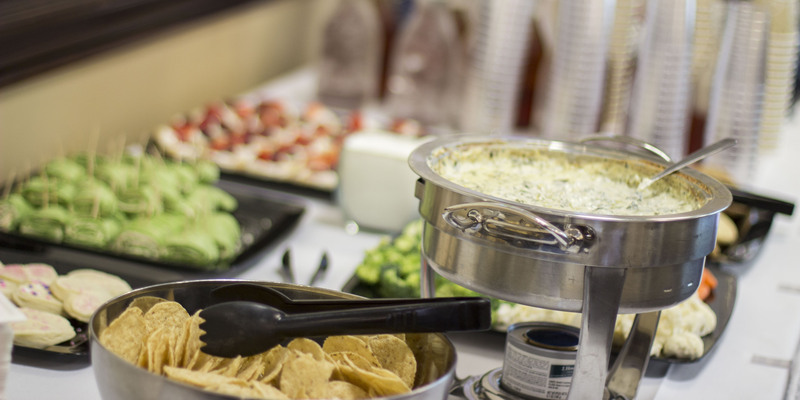 For more information about Panther Catering, call (217) 581-6082. We also welcome your comments! From coffee breaks, breakfasts or business luncheons, to elegantly served receptions and dinners, we are here to serve you. Our most popular menus are shown in this guide.